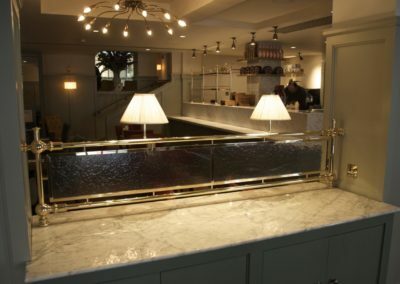 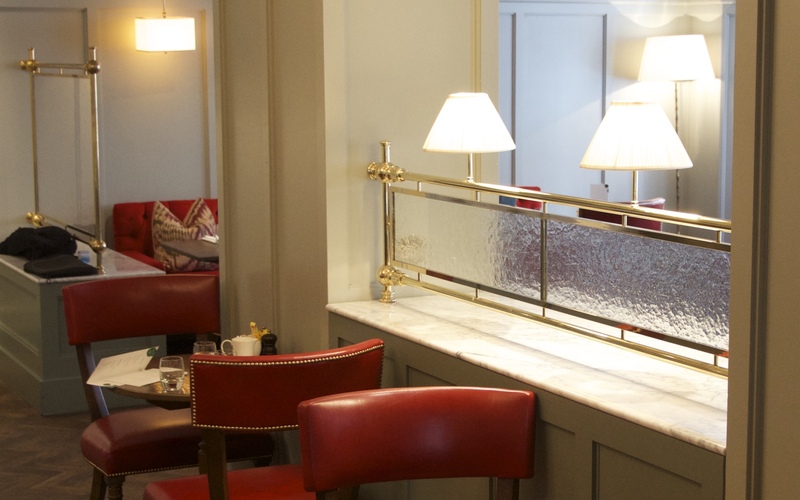 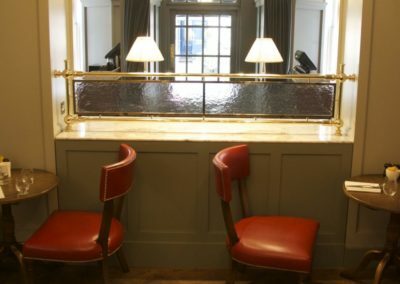 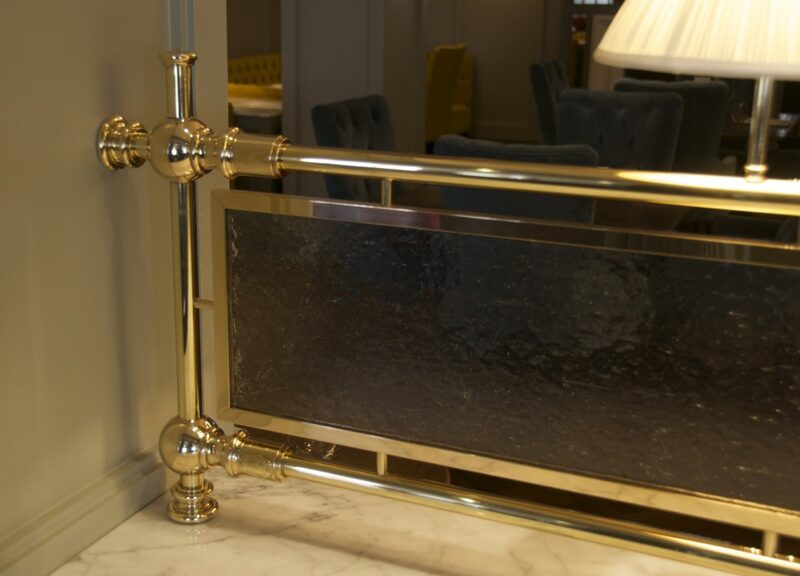 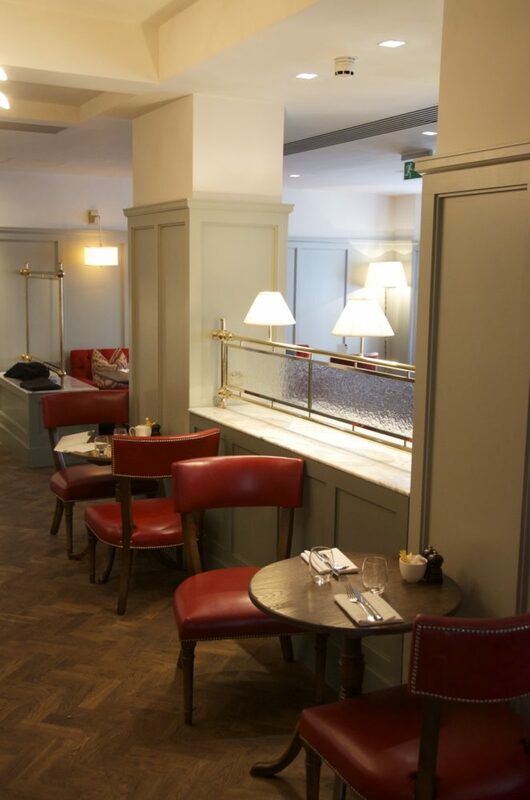 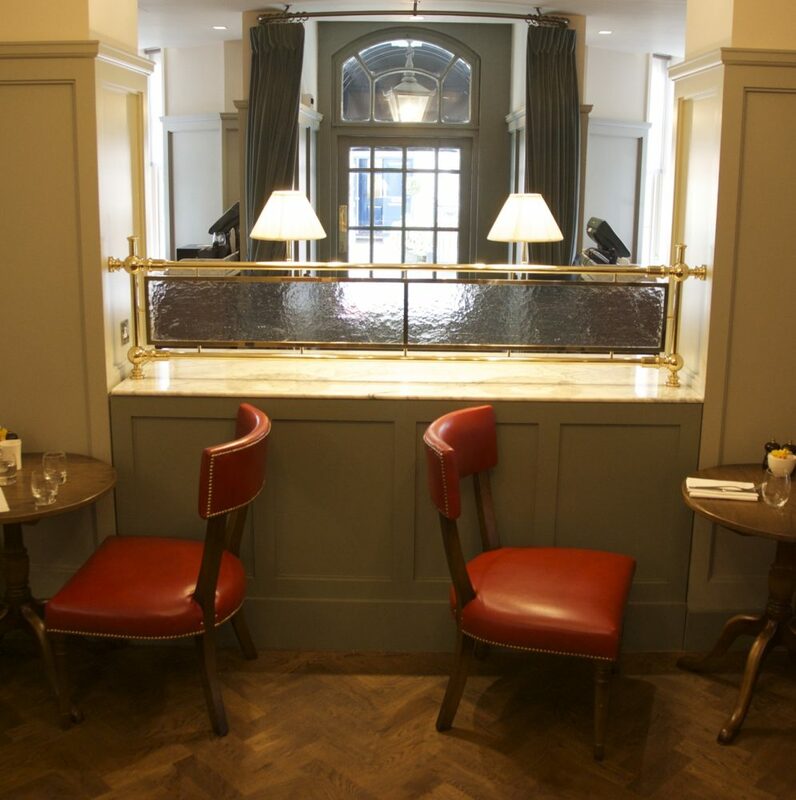 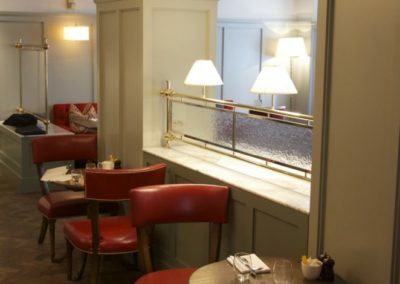 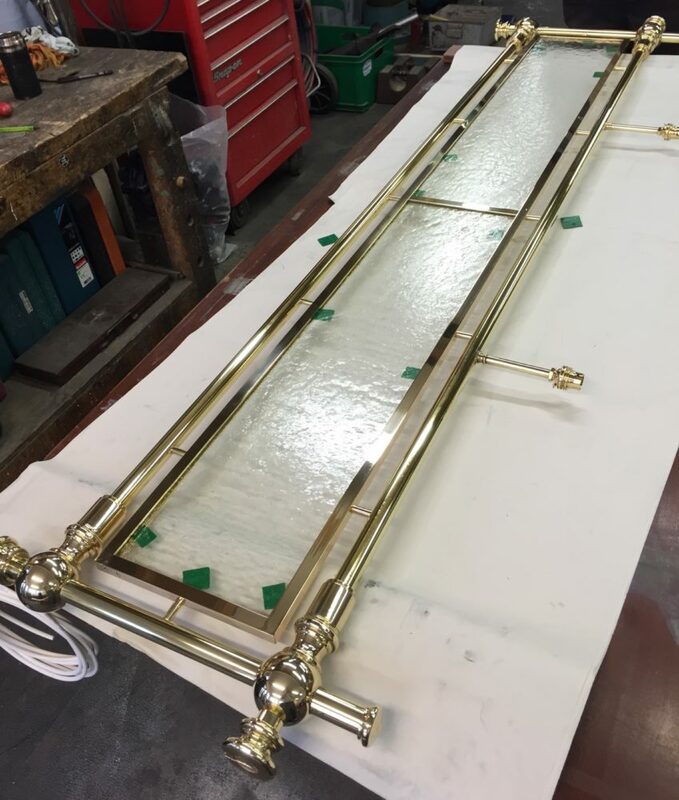 Andrew Nebbett Designs was commissioned to produce a set of polished brass and glass zone partitions or room dividers for the restaurant area of a London Hotel. 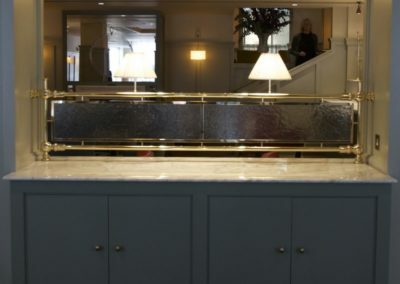 The structure of the building had already largely dictated the various zones, but to prevent the loss of light and to encourage the open feeling of the room, the client sought to provide a little more intimacy for diners by installing a number of framed panels along the tops of some of the low-slung walls which divided the areas. 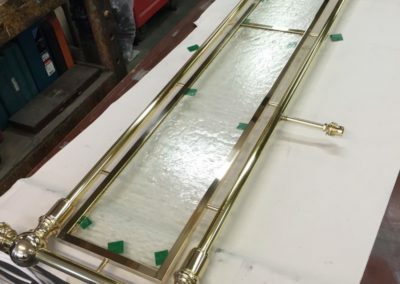 The panels were not only secured at the base, along the tops of the walls, but also on some of the panels at either side by the structural columns. 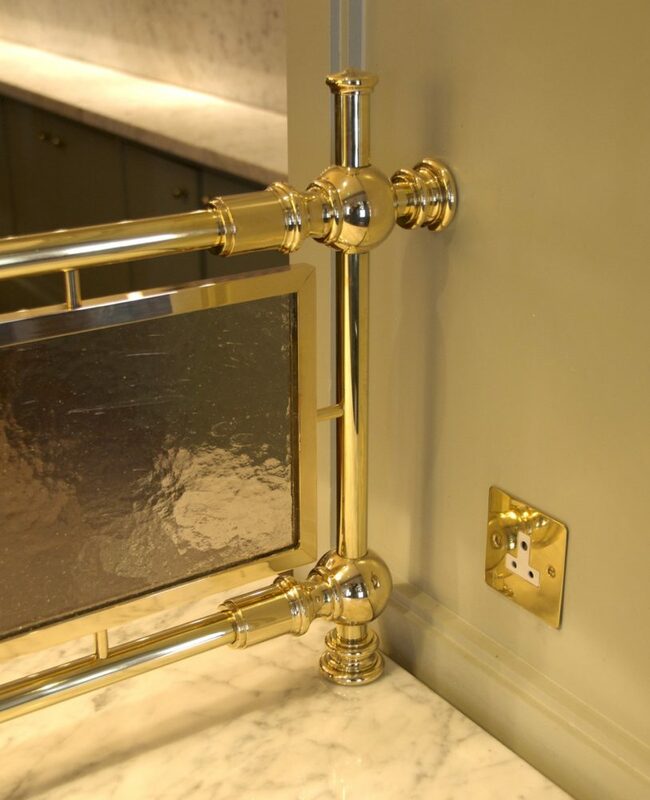 Each panel was made from solid and thick-walled brass, along with specialist glass panels and some of the panels featured integrated table lamps. 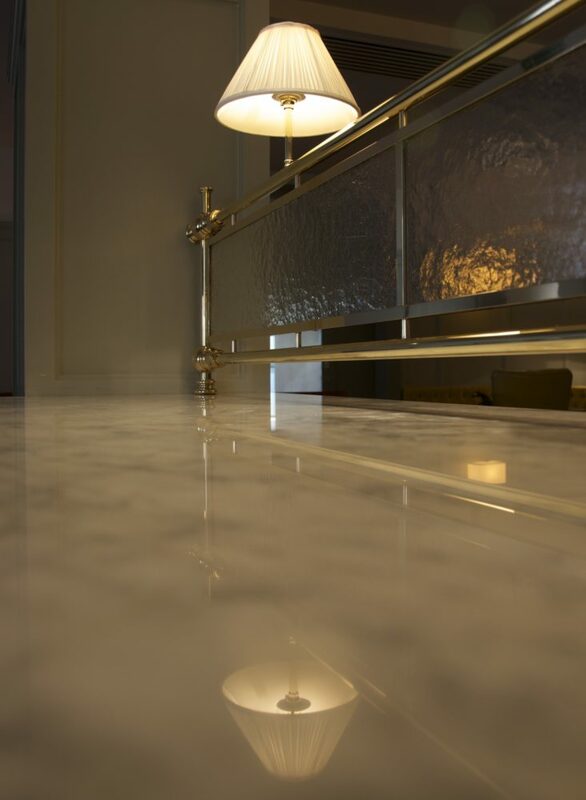 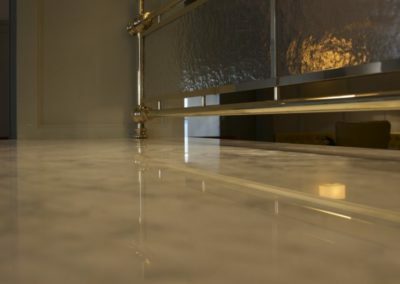 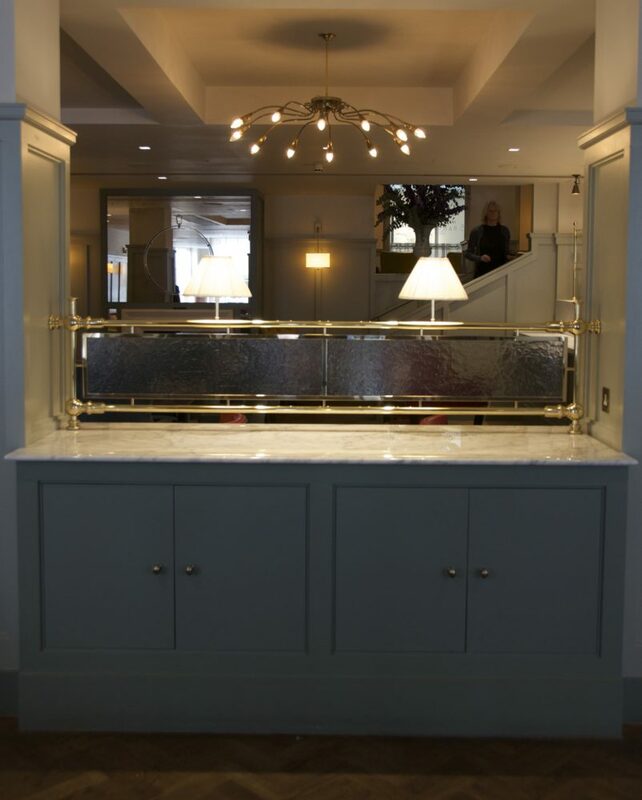 All elements of this project were made-to-measure and made by hand. 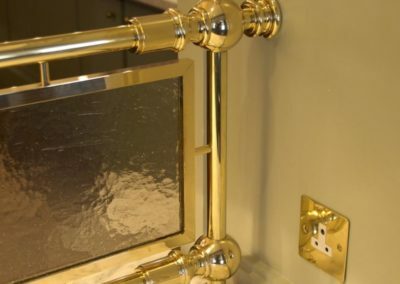 To discuss your project which requires room partitioning, please contact us.